The KDNA’s mission is to improve the Village of New Bremen and nearby communities by providing a natural recreation area and educational resources for visitors of all ages and interests. The Kuenning-Dicke Natural Area, located along the historic Miami and Erie Canal between Lock One and the former site of Lock Two, offers 71 acres of wildlife protection and a peaceful site for outdoor recreation. More than 800 trees have been planted in the park to spur the return of native plant and animal species to the area. The KDNA hosts 2.5 miles of trails for walking, running, hiking and biking. A three-acre lake provides ample opportunity for catch-and-release fishing, while the primitive campsite is the perfect resting spot for backpackers and cyclists. The park is also home to several small memorials, honoring American veterans of wars and conflicts. The KDNA supports educational programs that promote an understanding and appreciation of native plant and animal species as well as the historical significance of the surrounding community and the Miami-Erie Canal. The New Bremen Foundation has partnered with Aullwood Audubon Center and Farm to bring such programs to the park. 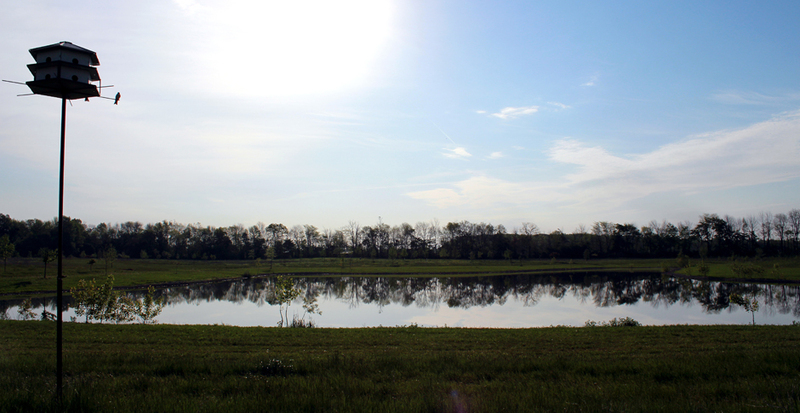 The Kuenning-Dicke Natural Area was created through donations by visitors like you. The continued development of the area’s infrastructure and memorials to honor our veterans is dependent on additional contributions. Please visit the “Donate Now” page and learn how you can make a tax-deductible donation.